Kevin Gilligan's second solo photography exhibit, "Deliberations: Preservation, Avarice, Conservation" May 13th-14th, 2017 in Hermosa Beach, CA at the South Bay Art Department. 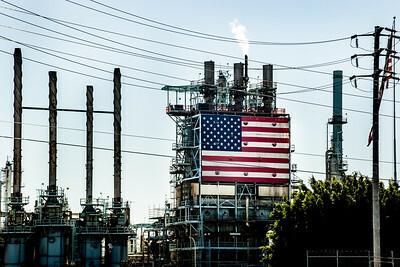 About the exhibit, courtesy of the Easy Reader: A photography exhibit juxtaposing imagery of spectacular national parks with the starkness of local oil refineries, and exploring critical questions about where we find ourselves both as a nation and as a South Bay Community. 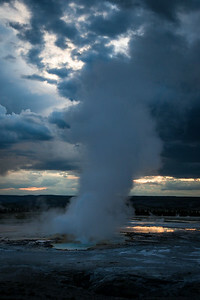 By award-winning photographer Kevin Gilligan, the show entitled “Deliberations: Preservation, Avarice, Conservation” includes visually captivating and thought-provoking images of both natural beauty and mass industrial oil production, providing contrasts that probe American values, government policy priorities, and the legacy of pivotal past-decision making. 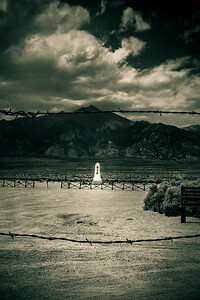 Some landscape images acknowledge the 75th anniversary of Manzanar in California’s harshly scenic high desert and the internment there of Japanese-Americans during World War II. 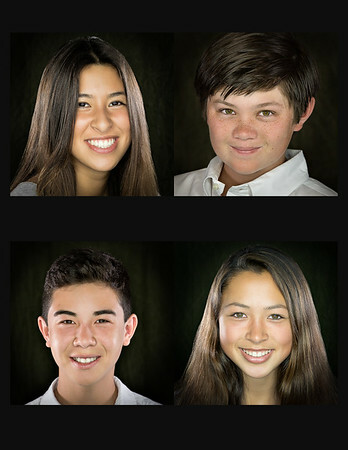 Other images are portraits of South Bay Hapas (half Asian and half Caucasians). These pairings encourage deliberation about preservation, the concept of “other” in the United States, and how that definition changes over time. 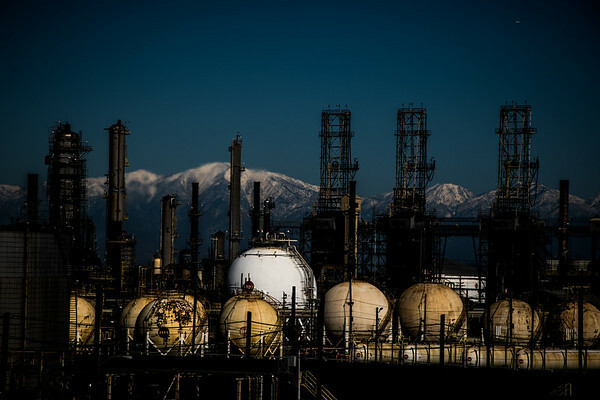 Also featured are industrial landscapes of South Bay oil refineries in looming contrast with breath-taking scenes from national parks, where oil drilling recently was proposed by federal officials. Gilligan says of the refinery images: “We had a potentially catastrophic explosion at the Exxon Mobile Refinery in 2015 (now the Torrance Refinery) which could have spread deadly modified hydrofluoric acid throughout the South Bay and Beach Cities, and yet so many people don’t know about the issues. Photography, to my mind, provides an avenue to learning.” That set of images encourages deliberation about avarice and conservation. 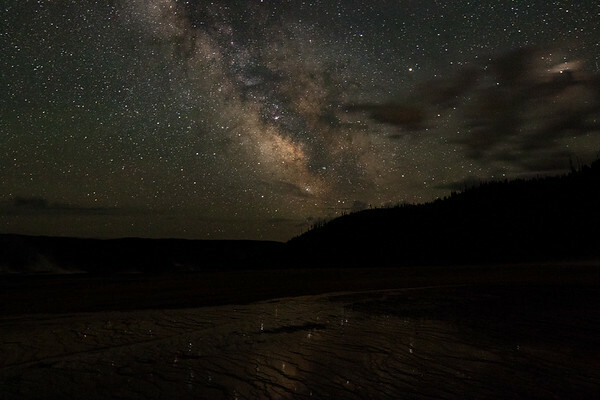 Gilligan, a South Bay resident, is an avid fan of the outdoors and has explored and photographed U.S. National Parks including, Rocky Mountain National Park, Yosemite, Zion, Bryce Canyon, the Grand Canyon, Yellowstone and the Grand Tetons. Many thanks to the show sponsors, Tamron USA, Pelican Professional, Zymurgy Brew Works and Tasting Room and Marsatta Chocolates. 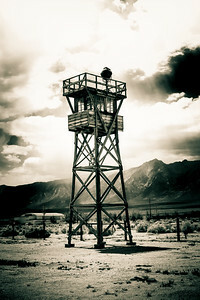 The 500 acre housing section of Manzanar was surrounded by barbed wire and eight guard towers with search lights and patrolled by military police. Executive order 9066 ordered the removal of all Japanese Americans from the West Coast and into internment camps, regardless of citizenship, after Pearl Harbor was bombed in World War II. Two thirds of all Japanese Americans interned at Manzanar were American citizens by birth, many of whom had lived in the United States for decades, but who, by law, were denied citizenship. 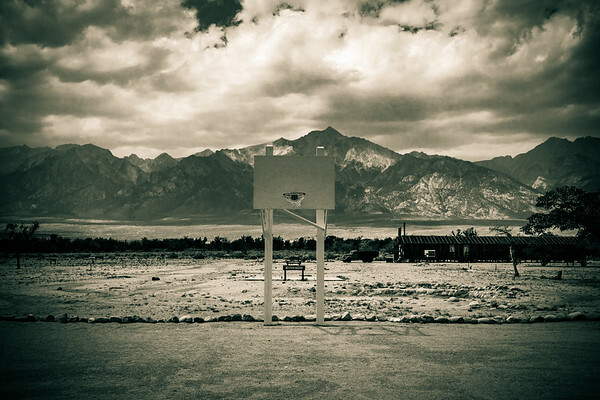 A total of 11,070 Japanese Americans were processed through Manzanar. Yet, no Japanese Americans were charged with espionage. Photo information: Canon 7D Mk II, Tamron SP 15-30, f/2.8, 1/100 sec, f/16, @30 mm, ISO 320, processed in Adobe Lightroom. (c) 2015, Kevin Gilligan, All Rights Reserved. 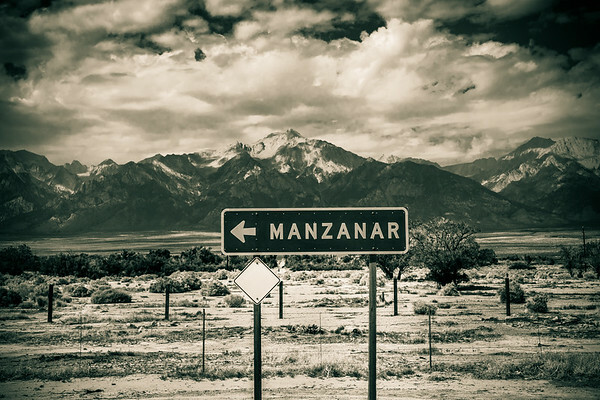 Coming from Los Angeles and other communities in California and Washington, Manzanar's internees were unaccustomed to the harsh desert environment. Summer temperatures soared as high as 110 degrees F. In winter, temperatures frequnetly plunged below freezing. 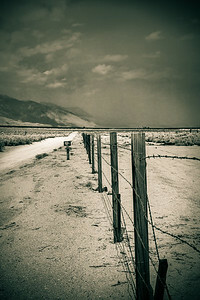 Strong winds swept through the valley throughout the year, often blanketing the camp with dust and sand. Photo information: Canon 7D Mark II, Tamron SP 15-30 f/2.8, 1/125 sec at f/16, 30 mm, ISO 100. (c) 2015, Kevin Gilligan. Grandma Rose is one of the sweetest individuals you could ever meet in spite of a lifetime that included many hardships and extensive discrimination because she was Japanese-American. Rose was born in San Francisco. 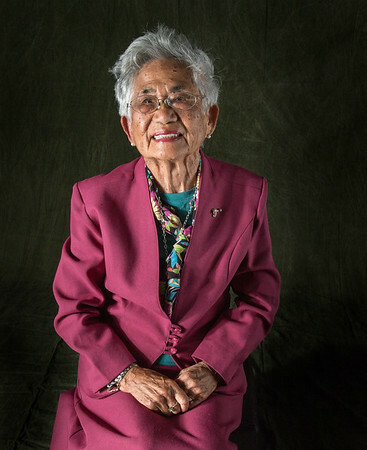 At age 18 she was given 48 hours to move out of her home and relocated to an Japanese Internment Camp like Manzanar or she could move inland away from the West Coast. Rose had relatives in Utah, so she moved to a farm and worked there from sun up to sun down. She often joked that the camps would have been easier for a City girl like her. After WWII, she ironically worked for the US Military in a number of roles. She was discriminated against and denied appropriate promotions. She represented herself for a decade, eventually winning her case. Rose married and raised three great kids. Her husband developed Parkinson's Disease, and Rose dutifully cared for him as grew progressively less mobile, eventually ending up in a wheel-chair before passing. If you meet Rose, you can be assured her warm personality far exceeds the size of her 4' 11" frame. In our family, when faced with a difficult choice, we often ask, "What would Grandma Rose do?" The answer is usually, "Be kind." She has a lot of wisdom to share if we listen carefully to her words and deeds. The word Hapa is believed to have originated in Hawaii, and referred to half white. It was originally derogatory, but has since been taken on by many with a sense of pride in a diverse heritage, typically 1/2 asian and 1/2 caucasian. I choose to do portraits of "Hapas" because Asian Americans were once seen as "The Other" in our society. It's been 75 years since the wrongful internment of Japanese Americans in WWII. Now half-asian, half caucasian children are common in Southern California and the South Bay. What was once "The Other" has now literally become part of us. 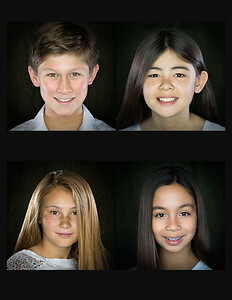 These Hapa kids in my portraits have a variety of Asian backgrounds including Japanese, Chinese, Korean and Filipino. Can you tell which is which? Does it matter? 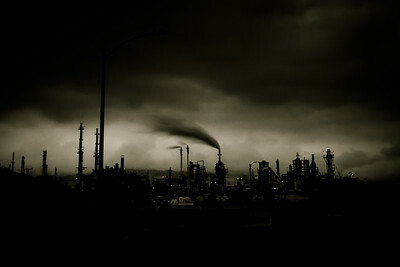 Torrance Refinery, January 28, 2017. Los Angeles is surrounded by beautiful mountains, often snow-capped in the winter. The view is blocked by the Torrance Refinery. On February 18, 2015, the Torrance refinery (then owned by Exxon Mobil) had an explosion that was a near catastrophe. 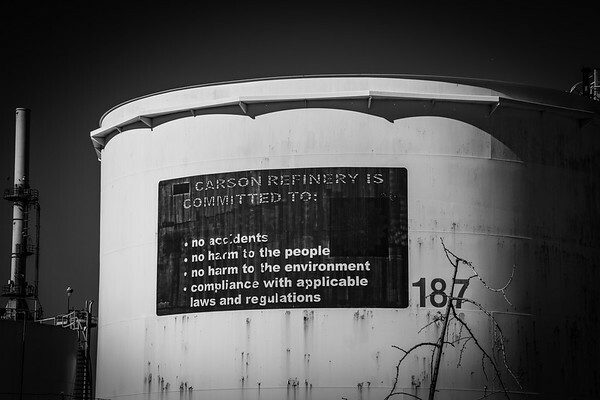 The US Chemical Safety Board (www.csb.gov) investigation uncovered multiple safety management deficiencies that led to the accident and a serious near miss. An explosion occured at the refinery throwing large pieces of debris into the air. One large piece narrowly missed a tank containing tens of thousands of pounds of modified hydrofluoric acid. The Chemical Safety Board (CSB) determined that had the debris struck the tank, a rupture could have released a potentially catastrophic release of extremely toxic modified hydroflouric (HF) acid into the South Bay. The CSB chairperson explained the risk "after HF acid vaporizes, it condenses into small droplets that form a dense low-flying cloud that will travel along the ground for several miles and can cause severe damage to the respiratory system, skin and bones of those who are exposed, potentially resulting in death." Depending on the wind, Manhattan Beach, Hermosa Beach, Redondo Beach, Torrance, Hawthorne and even parts of Los Angeles could have been affected by the release of the airborne HF. 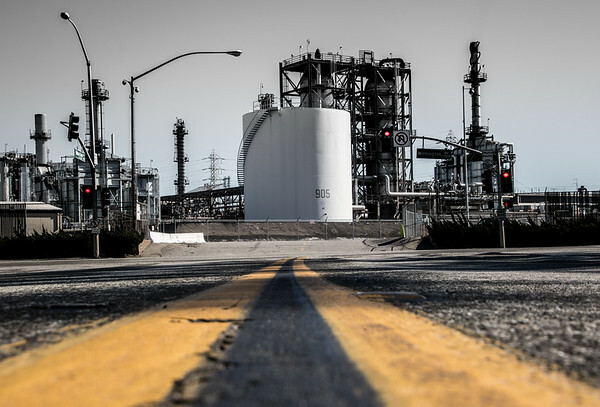 Within a three mile radius of the refinery there are 333,000 residents, 71 schools and eight hospitals. CSB investigators report a lack of cooperation from ExxonMobil to comply with their request for information. As of January 2016, the CSB received no in incomplete responses to 49% of its subpoena requests. The American Lung Association's 2016 "State of the Air" report found that 166 million Americans live in counties that have unhealthful levels of ozone or particle pollution. Uregulated and poorly regulated energy production and use, as well as inefficient combustion, are the most important man-made sources of key air pollutant emissions. 85% of particulate matter - which can contain acids, metals, soil and dust particles - and almost all sulfur dioxides and nitrogen oxides can be linked back to those sources. (ecowatch.com) Putting in place clean energy policies can reduce premarture death from polluted air. The current head of the Department of Energy, Rick Perry, is famous for his cringeworthy 2011 moment when he could not remember the name of department he vowed to eliminate, and now leads. The number on the side of this image is 187. Penal Code 187 is the Penal Code section for murder. 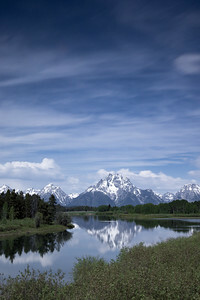 Grand Teton National Park is located in northwestern Wyoming, and is only 10 miles south of Yellowstone National Park. 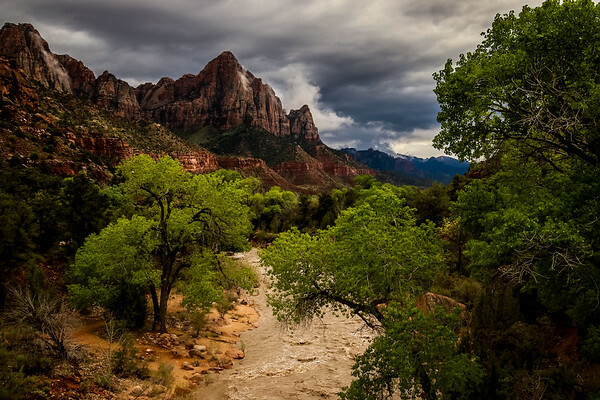 Zion is one of the most cherished U.S. National Parks. It is home of the legendary "Narrows" hike and "Angeles Landing." The slot red clay slot canyons in Arizona and Utah are wonderous. 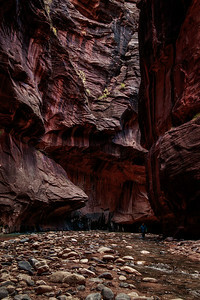 The Narrows in Zion has to be one of my favorite hikes of all time. It has an incomparable landscape. 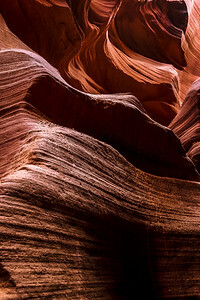 Thousands of years of water erosion have carved the Navajo sandstone into stunning shapes. Just don't hike in or immediately after the rain, there is no way out if a flash flood hits.